Wow, we are more than halfway through 2013! Depending upon what science fiction you subscribe to, that means we should already either be living in utopian floating cities, or struggling to survive in the crumbling, radioactive remains of our ruined civilization. The reality is a little less dramatic: We haven’t totally destroyed ourselves yet, but we haven’t really figured it all out, either. Take our continued abuse of the environment, for example. We’ve been hearing about our limited resources for decades now, and we’re still dragging our feet when it comes to implementing positive change. It looks like we need to go back to school. So, here are some ways that you can keep 2013 a truly green year (presented to you in the most basic way possible). If there is a Commanding General in the war to save the planet, it would be reduction. After all, there is only a finite amount of usable resources available to us on this Earth. So, until we figure out an inexpensive way to start mining Venus, we better do what we can to make those resources last. Things like electricity, water, precious metals, paper, and basically everything else that makes up our world could stand to be a little better rationed. For example, you could. . .
Save fuel by riding a bike, walking, or even taking public transportation. You’ll save money on fuel, and probably live longer too (unless you’re one of those people who rides their bike in the middle of the road but still ignores traffic lights). Cut down on wasted power by installing home automation systems to automatically turn off lights or appliances, and to keep track of electricity and water consumption. Smart home technology is a great way to monitor and reduce the amount of wasted power that your family is responsible for. Conserve paper by opting out of receiving bills or bank statements in the mail; use electronic communication instead. Limit your water usage by taking shorter showers, eliminating baths, brushing your teeth without letting the faucet run, or installing low-flow fixtures. 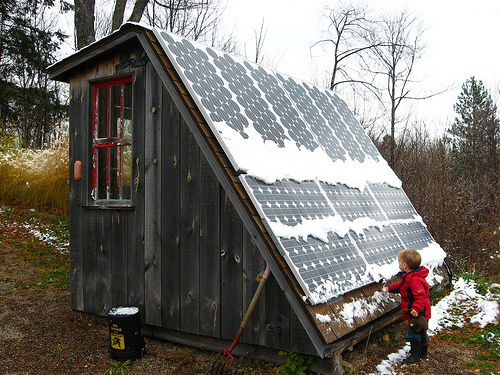 Cut down on your reliance on grid power by installing solar panels. Remember how your dad used to tell you that “power isn’t free”? Well, it turns out that he was only half right. Producing electricity in coal burning power plants sure costs the environment (and you) quite a bit. However, there’s plenty of free, clean, and practically limitless power bombarding the Earth at any given moment. Setting up solar panels may seem like a hassle, but they’ll save you some serious cash in the long run, and they won’t have to defile the ecosystem to do it. Technology in our modern world has provided many different solutions for energy conservation in both the private and commercial sectors. Home automation systems are constantly improving to reduce energy used by the common households throughout the world. In fact, Vivint’s review of its own processes have led them to focus more on their own home automation technology to ensure that their customers are getting the most Eco-friendly options. Companies are also using more environmentally friendly processes in their manufacturing and shipping systems to reduce their carbon footprints and be as responsible as possible. If these large corporations are trying to do their part to reduce their emission output, why can’t we? This is the next best thing to not using something in the first place. Sure, petroleum products were chemically converted into that plastic bag at great expense to the environment, but the damage is done and life moves on; at least I can keep reusing the bag rather than getting a whole new one. But for some reason, a lot of people throw away the old and pick up the new, when they could be. . . Using fabric shopping bags when they go to the store. They’re washable, stylish, and not expensive at all. Also, they’re bit less likely to tear open and spill your produce all over the parking lot. Re-purposing tin cans can to be used as pencil (or other small item) holders in an office. Saving money on envelopes. Take the one’s that arrive in your mail, and carefully turn them inside out and re-glue them. Marking garden vegetable patches with used Popsicle sticks. Using dryer lint as a great fire starter while camping. Using junk mail as scratch paper. Write your grocery lists on the back of ads, business reply envelopes, or anything else you were just going to throw away. Catching dishwater and saving it for watering outdoor plants. Reusing plastic bottles to hold liquids for drinking, more than just the one time! Look, just get a water filter and refill your bottle every morning; you won’t be able to taste the difference. You knew it was coming. This one should be the easiest of the three R’s. Government programs in every state make it possible and relatively easy to recycle certain types of waste, and some cities such as New York and Seattle even have laws in place to ensure that those programs are used. But despite all of this, the EPA estimates that we only bother to recycle about 30% of the total of recyclable waste produced. Maybe it’s laziness, and maybe it’s ignorance, but either way it’s got to stop. So be sure to. . . 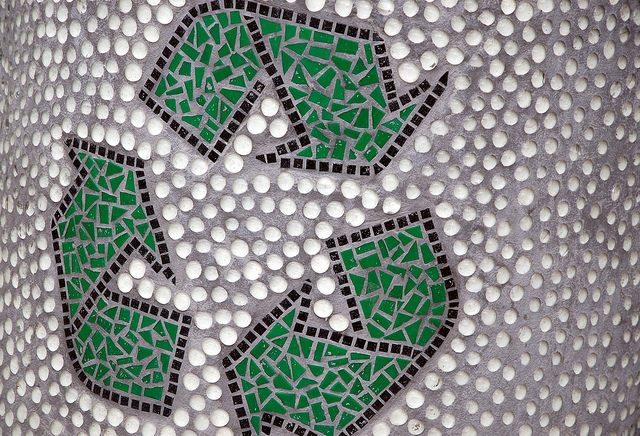 Separate out your different recyclables after use. This is especially important if you don’t have home recycling pick up, and you have to take your recycling to a recycling center. Remember that electronic items such as old phones, computers, and even batteries need to be recycled as well. Devices that contain complex circuitry use precious metals such as gold, silver, and even platinum. Mining for these metals is ecologically disastrous, so make the most use out of what you already have. As for batteries, they contain hazardous chemicals and shouldn’t just be tossed in the garbage; drop them off at participating companies (find one using the internet) so they can be turned into components for new batteries. Take the extra few steps. If you’re out and about, and you finish your bottled water and don’t see a recycling can, keep looking. Don’t just drop it in the trash. Every little action has a consequence, and every little victory has a reward. 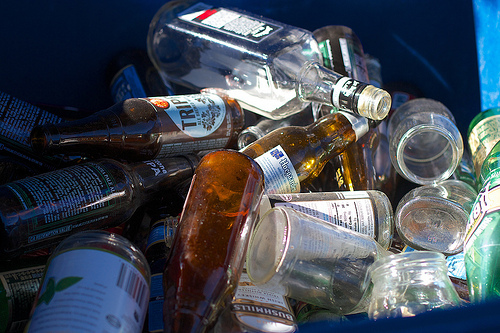 So hold onto your bottle until you can find a designated recycling can. After all, we’d all feel pretty stupid if we destroyed the Earth just out of laziness.